Twitter stands apart from the other big networks which allow a longer form of posting. By limiting the number of characters to 140, it forces you to be very economical with your choice of words. This economising of words has resulted in many shorthand versions of phrases. You will find acronyms everywhere, which can be jarring for a first time user. Once you get used to them, it becomes second nature. That is until some bright spark creates a completely new one and springs it on you for the first time. But I digress. The enforced character limit has a distinct effect on the culture of Twitter. By limiting your communications to short sharp bursts, it makes you think about what you need to write. The closest analogy I can think of at the moment is that is it like trying to write a sonnet. At first it may feel awkward trying to pick out the best word combinations with the limited amount of space available, but the more you do it, the easier it becomes. These short sharp bursts happen to be brilliant for journalists and anyone wishing to share links to more in depth articles. While Twitter does allow direct messages to individuals, the act of tweeting is entirely public. This means whatever you post on Twitter is visible by anyone and everyone. The reverse of that is the way Facebook handles things. Facebook began life as a social network for students at Harvard University and was later expanded to include other colleges. It has grown a lot since those days, but the basic premise of sharing information with your friends has remained. While Twitter and Google+ users may have followings in the thousands, it is much more common for Facebook users to have much smaller followings. The act of friending someone means you send a friend request and the person the other end has to accept it. The implication here is that you know the person in real life and that you are confirming they really are a friend. This has a big impact on the types of communications that you make. For instance, on Facebook you may be perfectly happy to share your holiday snaps, or photos of your newborn baby, because you know it will be seen by people you can trust. These same people are likely to want to see your updates and will respond. Imagine posting something like that onto a broadcast network like Twitter. It wouldn’t work. Now this is where things get a little bit tricky. Facebook’s Like button is there for you to show your appreciation for someone else’s content. However, the very act of clicking Like means that post may also appear in the feed of your ‘friends’. So unless you specifically change the visibility of your posts from Public to something else, you are effectively sharing all of your Facebook posts with the entire world, or potentially at least. The perception that you are only sharing with friends is still there, which is why the content of posts (or status updates as Facebook would have it) are different to those found on more obviously public networks. There are social networks such as Instagram and Pinterest, which have been built around photo sharing specifically. There is one network however which almost throws in photo sharing as an afterthought, but which does it very well. 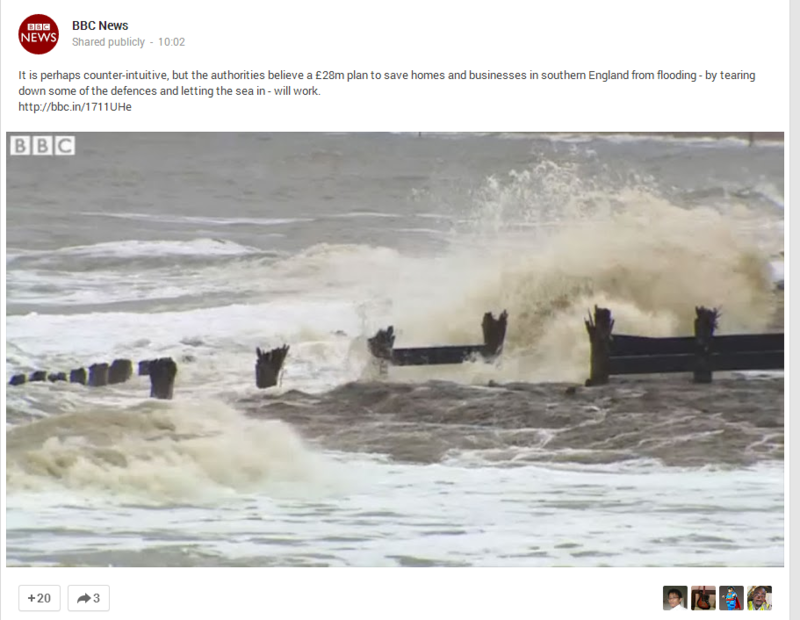 A full width post in Google+ showing content from BBC News. This is one of the reasons why Google+ appears to be so popular with photographers. Another may be the advanced photo editing tools and auto backing up of images from your mobile device if you use the Google+ app. Google+ also has a feature called Auto Awesome, which combines multiple images in various ways (animated gifs, picking the best smiles, etc.). It has proved so popular that Google announced further enhancements recently, including Auto Awesome for video. That is all great for sharing images and video, but Google+ does something else which crosses the boundaries into blogging. 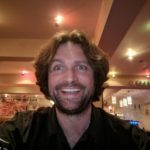 Google+ makes it very easy to create lengthy posts and with the addition of some simple codes (asterisks, hyphens and underscores), it allows you to write things in bold, with strikethroughs and in italics! As well as making post titles stand out, it is conducive to creating carefully thought out posts and there is a growing movement to replace blogging with Google+. 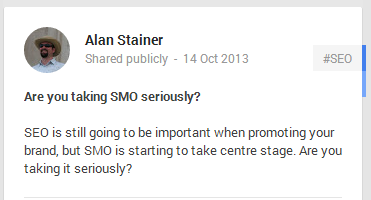 Mike Elgan is a very well respected Google+ advocate and ran an experiment to this end. Click here to read the results of the Blogs of August. Every social network has it’s differences and to list them all here would be silly. Technologically they may well be similar, but the way they have been constructed and the manner of their conception plays a big part in the way they get used. To compare one against another is often like comparing apples and pears. When considering which social network is right for you, think about how it is being used by others before making a decision.